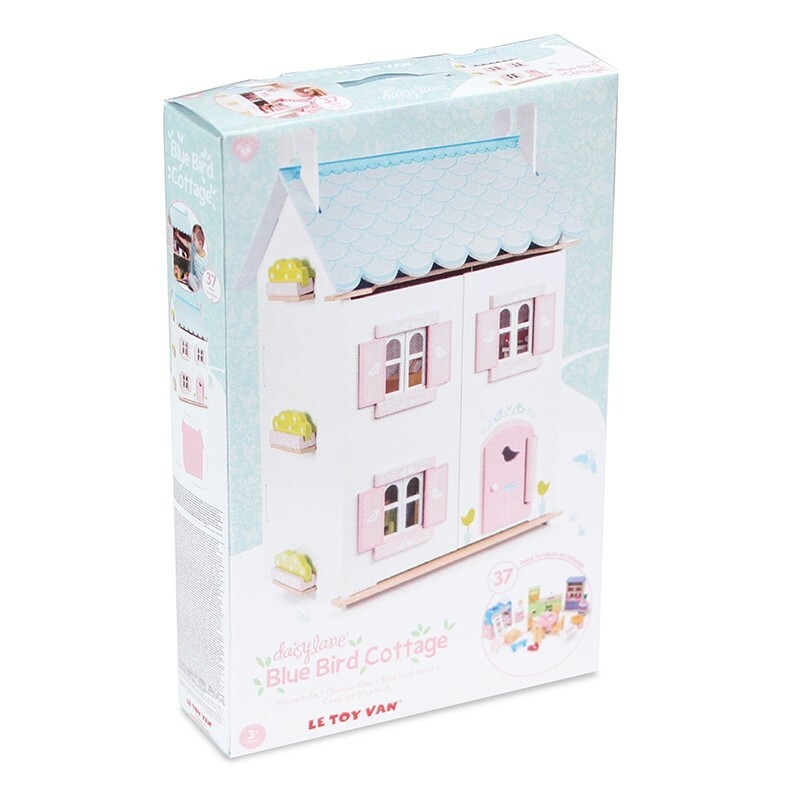 The Blue Bird Cottage is a fully painted and decorated wooden doll's house on the blue bird theme, using soft pastel blue, pink and fresh white colour palette. 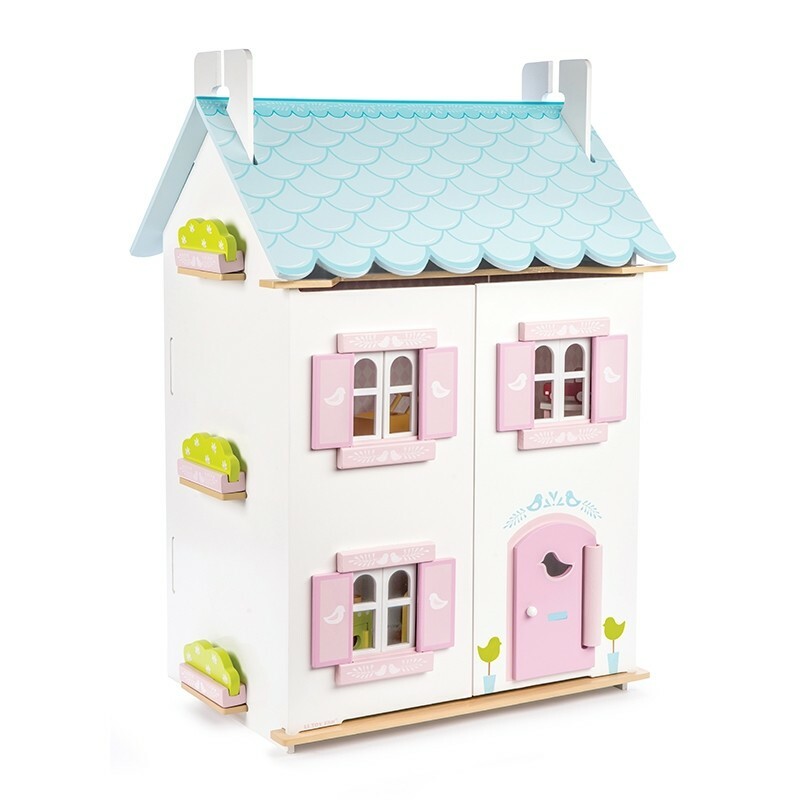 Features include opening and closing shutters, windows, roof and door. 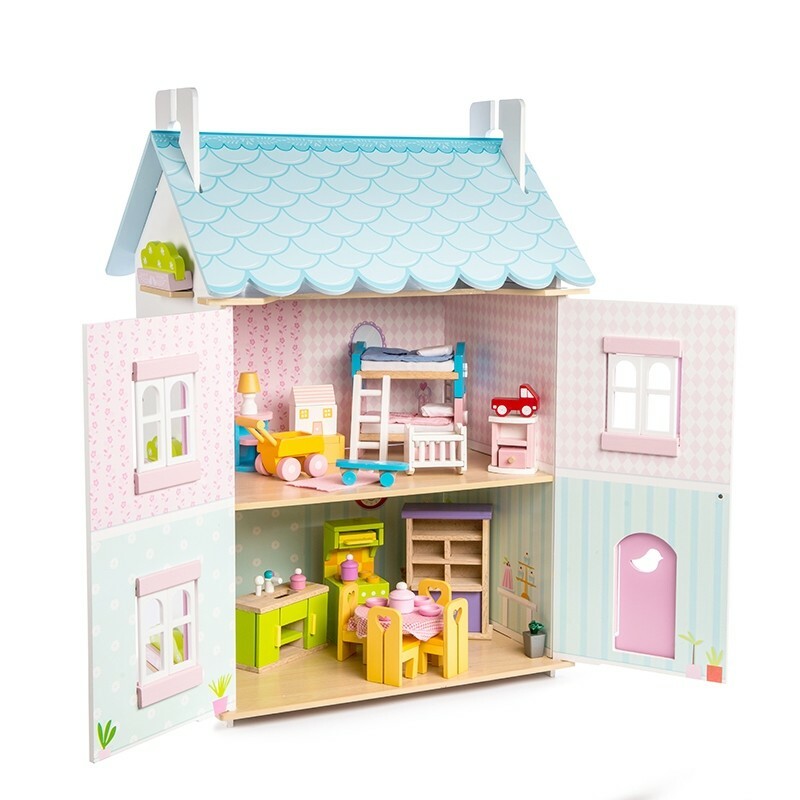 Detailed interior with upstairs/downstairs colour division, different wallpaper and fine illustration in each rooms. Scaled for Le Toy Van doll’s and accessories - sold separately.